If you’re looking to add some thrills to an overall relaxing beach vacation, then parasailing is the way to go. Chances are that you’ve seen folks attached to a parachute fastened to a motorboat cruise in the air as the boat glides. With it being summertime, there’s not a more enjoyable activity for the whole family. 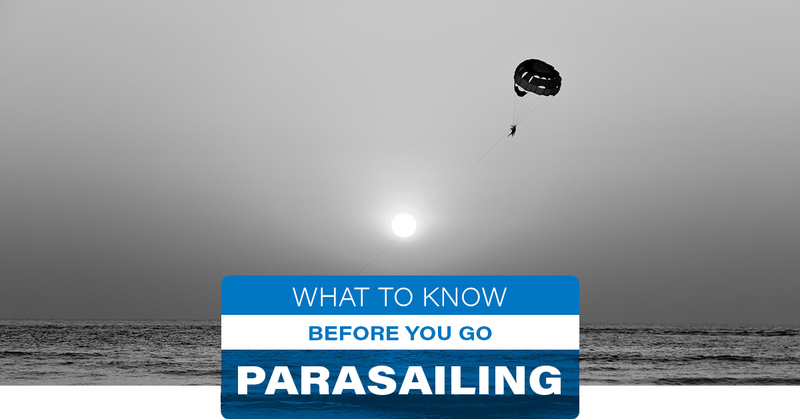 In this blog post, we’ll detail the ins and outs of parasailing before you book your reservation. Safety first – There’s no shortage of licensed and insured commercial parasailing operators in South Florida. Keep in mind that these trained crews should be able to ensure the safety of passengers throughout the experience. However, it’s still a good idea to be familiar with potential hazards. These can include weather, the integrity of the equipment, and course. Ideally, you will be parasailing on a day where there’s no wind and through an area where there are no potential obstacles, such as trees, towers, or power lines. Know who can parasail – Fortunately, there’s no age limit for parasailing! That said, commercial parasailing operators observe a weight limit. In addition, adults should always accompany children. The weight limit isn’t the only thing to keep in mind, though. It’s required that passengers be sober for the ride. While parasailing may not take any skill or previous experience, remember that you will be hanging in the area several hundred feet above the ground. Of course, parasailing operators have the right to refuse passengers who are intoxicated. Load up on sunscreen – By no means does parasailing involve being out on the water for an entire day. However, it’s critical to apply plenty of sunscreen ahead of time. Consider one with a higher SPF and don’t forget to reapply! Here’s how the process works. Our custom design consultant creates a 2D digital scan of your boat, which is then imported into our CAD software. From there, customization is at your fingertips. Choose from custom patterns, graphics, or logos you desire. The marine decking material is then fabricated on a high precision CNC machine. To complete the look, the finished product is expertly installed. For those who would prefer a semi-custom option, we can also work with you where you template the boat yourself. From swim platform pads to kayaks and everything in between, see what our fabricator can do for you. Call us today to get started with this SeaDek alternative.